The Women In Government organization, founded in 1988, is a national, non-profit, non-partisan organization that has led the nation with its vision to empower and mobilize all women legislators to effect sound policy. Working with state legislators, state agency representatives and the public. The organization hosts educational conferences, state briefings and other policy events annually to address the nation’s public policy issues. 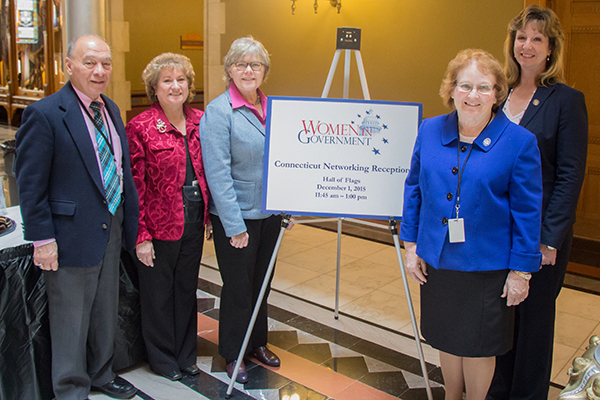 Through the support of our sponsors, including corporations, foundations, and state and federal grants, Women In Government provides its members with full legislative scholarships. These scholarships provide conference participants with opportunities to hear presentations from nationally noted expert speakers, receive comprehensive issue-based information and network with fellow policymakers, sharing best practices and developing policy solutions.